For show visitors seeking ways to power personalization, create and manage omnichannel customer campaigns, and sell print online 24/7, the Xerox booth at Print 18 is an essential stop. XMPie will showcase solutions that deliver highly effective, personalized omnichannel communications and Web-to-print (W2P) portals. XMPie Circle PersonalEffect Edition (a 2018 InterTech Technology Award recipient and RED HOT technology honoree): A software for designing, deploying, automating and measuring omnichannel campaigns. Circle is the only omnichannel communications solution on the market bringing together a marketing automation workflow and individualized content to touchpoints. With Circle PSPs have a solid foundation in place to transform their businesses and services through automated and personalized omnichannel customer campaigns.  Interactive PDF: XMPie PersonalEffect users can now create individualized interactive PDFs including buttons and other interactive elements used for navigation and calls to action. These can turn business and communication PDFs into interactive experiences that draw customers in, hold their attention for longer and can be viewed on any device. For example, a call to action that lets you schedule a demo or an appointment. The PDFs can also include personalized calls to action with follow up PURL touchpoints. XMPie PersonalEffect and Adobe Sign integration (a RED HOT Technology honoree): Enterprise customers can add fully automated electronic signature workflows to their personalized, omnichannel communications campaigns. The integration drives new operational efficiencies by automating workflows, improving the customer experience, and reducing the time and costs associated with completing business transactions. PersonalEffect StoreFlow / MIS Integration (a RED HOT Technology honoree ): XMPie’s industry-leading web-to-print software platform can be integrated with any industry-leading Print MIS including EFI Pace, PrintSmith and more with our new integration with Fraysen Systems’ ‘MyVirtualCSR Integration’. MyVirtualCSR automatically updates the StoreFlow W2P storefront with status and tracking as soon as it’s available and sends touch-free production ready jobs to the Print MIS. XMPie StoreFlow Integration with Avanti Slingshot (a RED HOT Technology honoree): This integration extends the value of the printer’s Avanti Slingshot MIS, an advanced MIS solution, as well as the printer’s XMPie PersonalEffect StoreFlow web-to-print software. With all inventory information in a single, central location – the storefront – printers can stay ahead of the demand curve, respond quickly to any changes, keep the right number of products to hand, serve their clients faster and achieve higher service satisfaction levels. XMPie Email Service Moves to Amazon: To ensure maximum scalability, resilience, and deliverability, XMPie has integrated its Email Service (XES) with Amazon Simple Email Service (Amazon SES) for email delivery. The XES subscription is managed via Circle and emails can be deployed directly from the Circle dashboard. This approach will provide customers with a strong platform upon which to develop dynamic email content and because XES is also powered by XMPie PersonalEffect, all emails can use the same campaign logic and data as the print and other digital channels and any content can be personalized, dynamic or variable. 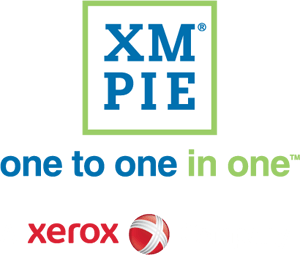 All XMPie solutions will be on display in the Xerox booth #1621 at Print 18 from Sept. 30 – Oct. 2.